Martin & Brickell's "Bright Star"
You could call Bright Star a feel-good musical. Created by Steve Martin and Edie Brickell, it’s a sweet and sincere tale set in North Carolina of a young veteran returning from World War II who’s an aspiring writer and an exacting editor who 23 years earlier was forced to give up her newborn baby. Although Steve and Edie (never to be confused withthe late Steve and Eydie) don’t perform in it, the cast is first-rate. The principals are relative unknowns who act, sing, and dance with charm and pizzazz. In particular, Carmen Cusack, as the editor, Alice Murphy, is a certified new Broadway bright star. She’s a Brit who has no problems with a Southern accent; she’s also equally convincing as both the winsome younger Alice and the hard boiled older one. And the supporting cast includes Broadway veterans such as Dee Hoty and Emily Padgett. The plot is a bit creaky and obvious, but Walter Bobbie’s staging keeps the action moving forward fluidly, enlivened by the boisterous dance numbers, choreographed by Josh Rhodes. The music is that hybrid of bluegrass and pop that’s won Martin and Brickell a Grammy, and the “orchestra” consists of nine crack musicians playing instruments like banjo, mandolin, and fiddle – five them inside an onstage shack that moves around with other pieces of scenery on wheels. “Find your voice,” the editor Alice instructs the writer Billy. That seems to be what Steve and Edie have done. They’ve repurposed a half-dozen of their previously recorded songs and added about 14 new ones. The show combines Martin’s sometimes tart wit with Brickell’s open-heartedness. It won’t blow you away, but it may warm your heart and even leave a lump in your throat. The annals of Broadway are littered with failed musicals written by pop and rock composers, including The Capeman by Edie’s husband, Paul Simon. Even a similar American roots project, The Bridges of Madison County, with a book by Marsha Norman, Tony Award-winning score by Jason Robert Brown and a cast including Kelli O’Hara, lasted only three months. 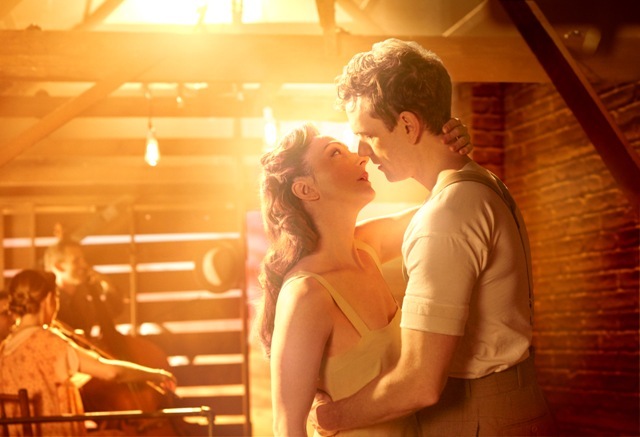 Will Bright Star succeed where they didn’t? I'll be rooting for them.